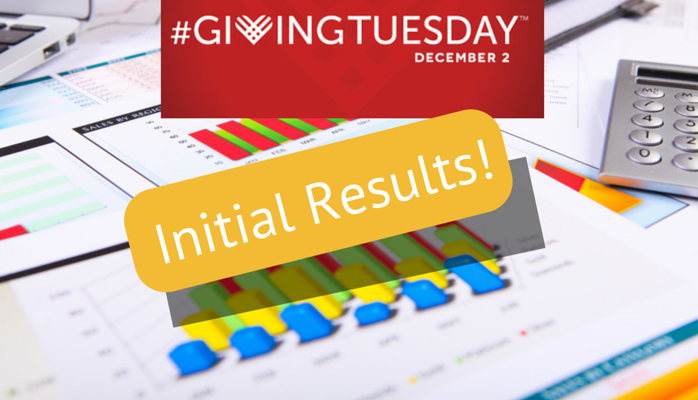 Initial reports for #GivingTuesday indicate astounding success! Black Friday sales were down 11% while #GivingTuesday had a banner year! The final numbers are rolling in, and by all accounts the three-year-old day dedicated to giving known as #GivingTuesday, is proving once again that Black Friday and Cyber Monday aren’t the only spending days top of mind in our communities. That the long weekend of frenzied indulgence and gluttony kicked off by Thanksgiving can be bookended with such generosity is heartening. Nonprofit leaders are humbled and overwhelmed by the results, which continue to be record-breaking: All this while U.S. Black Friday sales dropped 11.3% and Cyber Monday sales were up less than expected at only 8% (despite an increase in online sales), as noted by Mashable. “Nonprofits who raised money through Salsa on #GivingTuesday in both 2013 and 2014 saw an incredible increase of 47% year-over-year. Even though we have done a lot of education in the community and published data demonstrating that #GivingTuesday works and doesn’t share shift year-end dollars, we still are only seeing about 10% of Salsa client participating this year. We’d like to see that number and the overall #GivingTuesday movement continue to grow.” –Christine Schaefer, VP, Community, Product & Marketing for Salsa. 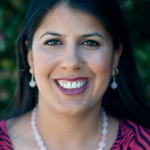 Indeed, compassion is the motivator, but the democratization of philanthropy social media offers has expanded the reach of all nonprofits who understand that many small donations are as important as a few extraordinary gifts. But not everyone is inspired. Tom Watson, president of CauseWired LLC, calls himself a “friendly skeptic” in thepiece he wrote for Forbes, but does admit he may have been “under-valuing one key factor: people are participating.” That fact is clear. Peter Panepento, principal at Panepento Strategies, formerly with The Chronicle of Philanthropy and the Council on Foundations isn’t content to accept the success of #GivingTuesday without pushing for more. And to that end the day has succeeded, and everyone who took to social media, opened their hearts, opened their wallets, and made the time to volunteer, to donate, and to CARE deserves to celebrate that success without having to ask, “Did I do enough?” Because if you did SOMETHING where before you did nothing, then the answer is yes. #GivingTuesday is not strictly about money. Then, there are those who are concerned about donor fatigue from being asked to donate repeatedly by hundreds of causes and bombarded on social channels. To them, I say, it hasn’t stopped people from celebrating Thanksgiving and over-indulging that day or stopped people from spending on things they really don’t need. GivingTuesday as a day to celebrate giving and caring provides a balance to all that consumerism that we usually kick off our holidays with. It is an alternative way, though in our face, to bring back the spirit of caring and giving to the holidays. I’d personally rather be tired from giving and making a difference than getting obese or spending beyond my means. In other words, there are other ways to be of service. For example, we at Social Media for Nonprofits did not fundraise this year. We opted instead to participate by amplifying and supporting our partners in their efforts, rather than competing with them. It was a thoughtful and deliberate decision on our part to use our resources in this way, lending our voice and perspective to several conversations that were taking place in the sector – including a Google Hangout on Air hosted by the #GivingTuesday folks on Growth of Philanthropy Through Digital Media, a community conversation with NTEN (Nonprofit Technology Enterprise Network), and conversations with leaders like Beth Kanter and more. We gave our full-fledged marketing support to our network and all nonprofits that reached out to us by tweeting their campaigns, retweeting and posting on FB on their behalves. We expect to launch our own campaign in the spring to provide an opportunity for our community of event attendees, blog post readers, speakers, sponsors, partners and more to participate and support us so we can continue to be a resource to the sector. We have no doubt that in this way the spirit of #GivingTuesday will continue to reach us and others throughout the year. And we’re celebrating that. How did you do, nonprofits? Was #GivingTuesday all you hoped for and more? What strategies worked or didn’t work? Share your success with us!